Feb. 28 will be the last day for the Royal Indian Cuisine restaurant at 235 Sand Lake Road, in the Center 90 shopping center in Onalaska. “My lease is up,” said Gerrard Perera, who has owned the business for the past 3½ years. “And I’m expecting to be deployed soon,” said Perera, who is in the Air Force Reserve. “For the last month (of business), we’re not running buffets,” Perera told me last week, adding that customers can order from the restaurant’s menu. The restaurant features Indian cuisine and was opened by a previous owner in February 2015. Royal Indian Cuisine is open for lunch from 11 a.m. to 2 p.m. every day except Tuesday, and is open for dinner from 5 to 10 p.m. daily. For more information, call the restaurant at 608-519-3033 or visit www.indiancuisineonalaskawi.com or its Facebook page. Prestige Furniture opened Feb. 1 in its new location, the former Jeri’s Hallmark store across from Gloria Jean’s Gourmet Coffees in Valley View Mall. “I’d been looking quite awhile for a location with more visibility and foot traffic,” said owner Mike Kidd, who had been operating Prestige Furniture at 723 Western Ave. in Holmen ever since he started the business in May 2016. He operates the furniture store with the help of his sons, Jordan, Jameson and Ezhra. Between 30 and 40 percent of the store’s furniture is made by Amish craftsmen in the Tri-State Area, including such things as barn wood furniture, log furniture and bed frames, Kidd said. The store also sells couches, sectionals, coffee table sets, dining sets, pillows and accessories. And it takes orders for custom Amish-made furniture. Prestige Furniture’s grand opening will be Feb. 23. For store hours and additional information, call 608-385-9347 or visit the store’s Facebook page. It soon will have a website. Dave and Carrie Goss opened Dave’s Pub on Jan. 25 at 113 S. Main St. in downtown Viroqua. The pub is in two of the three adjacent storefronts where the Gosses operated Dave’s Pizza and Sweet Shop and Dave’s Pub until they closed in mid-November. The third space is available for lease. Dave’s Pizza opened in 2011 in a former bakery at 113 S. Main St. and added the Sweet Shop candy business at 117 S. Main St. in 2012. “The initial plan was to restructure and rebrand, revamp things,” Dave Goss said. “We attempted to sell the business, but do not plan to anymore.” Some of the restructuring involved combining the bar and dining rooms, as well as simplifying the menu. “(The) menu we went back to the basics, we’ve taken the best two things, great pizza and selling cold beer,” Dave Goss said. “We are just going to keep it simple and just do what we’re good at. We want to be known as a great pizza place. Dave’s Pub is open six days a week and is closed on Tuesdays. The pub opens at 11 a.m. and has a lunch pizza buffet. For more information, call 608-638-4000 or visit the pub’s Facebook page. Steve Cahalan can be reached at stevecahalan.reporter@gmail.com or 608-791-8441. 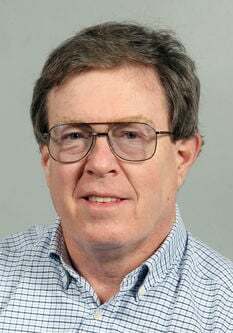 Sahnje McGonigle of the Vernon County Broadcaster contributed to this column. Not surprising about that Indian restaurant. you should have seen their kitchen. We could use some good Indian food here.